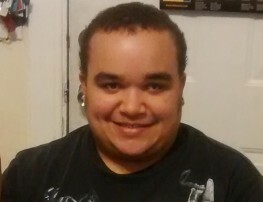 Steven P. Pottier, 23, of Providence, passed away Wednesday, April 3, 2019, at Rhode Island Hospital. Born in Sanford, Maine, he was a son of Philippe P. Pottier and Lavonia LaPointe. Steven was a 2013 graduate of Hope High School. In addition to his parents, he leaves a sister, Jessica Gamble; a brother, Christopher Gamble; two nephews, Caleb and Gabriel; and numerous cousins, aunts and uncles. Visiting hours will be held Thursday, April 18, 2019, from 1:00 pm to 3:00 pm, in the Russell J. Boyle & Son Funeral Home, 331 Smith Street, Providence. The funeral service will begin at 3:00 pm. Relatives and friends are invited.